I’ve recently finished reading this extremely interesting book by Dr Carol S. Dweck. Until about a year ago I’d never read a full book in my life. I’m dyslexic and it wasnt picked up on until my college days so I went through primary and secondary school believing that I was thick because I wasnt getting the extra help and support that I needed to succeed through school. So I gave up, ‘what’s the point in trying, im obviously just dumb’. But clearly something has just clicked over the years- I want to learn. I want to try. I want to have an open mindset and over the past year or so I’ve read about 3 or 4 full books which is a huge personal achievement. I enjoy reading these types of books about mindset, psychology and how the brain works. This book was a gift from my partner and it was a great choice! This book is all about how we approach tasks in our every day lives. Dr Dweck has scientifically proven that with the right mindset we can achieve anything we put our minds to. It’s all about whether you have a fixed or growth mindset. This particular book focuses on parents, teachers, CEO’s and athletes. How they can succeed and achieve a lot more by adopting a growth mindset and how so many CEO’s and athletes have failed in what they do best simply by having a fixed mindset. 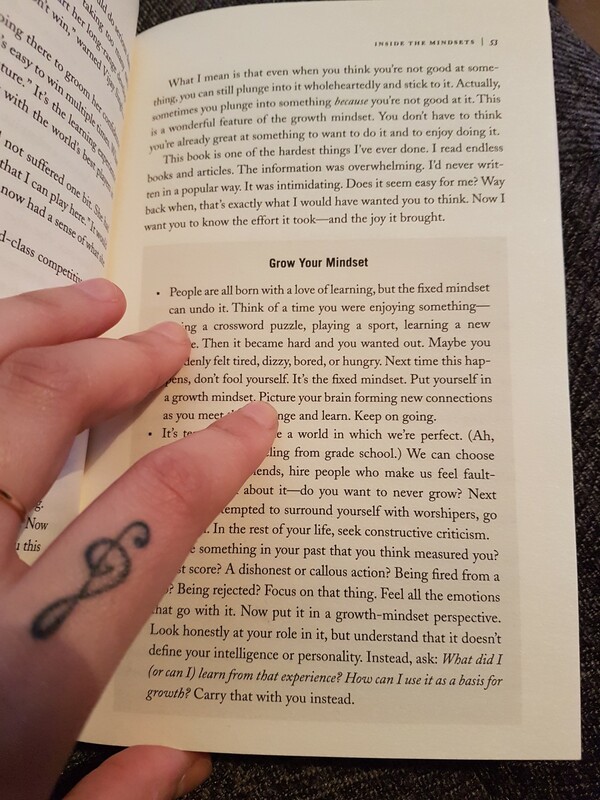 At the end of each chapter there is a small section that is a bit like a conclusion called Grow Your Mindset. This section is basically asking you to attempt to try what has been discussed in the chapter you have just read which I’d highly recommend trying and not just skipping past (I’ve been known to do this in another book before). What i also like about this book is that Dr Dweck gives a lot of real examples as she writes about different situations to help you visualise exactly what was happening during her interviews and experiments. Even if you’re not usually into reading about psychology I can safely say that you will be interested in this book. 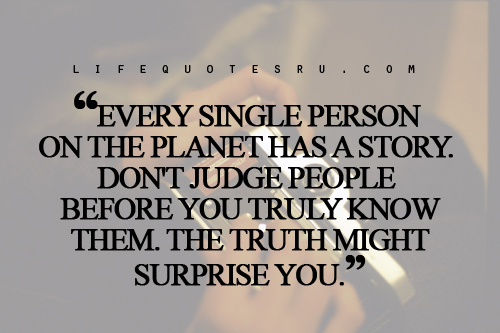 It will help you to open your eyes and realise why you do things the way you do. You’ll begin to have an understanding of the impact that growth and fixed mindsets have on your every day life and performance. This book made me smile as I read it, as I began to understand my mindset a little bit more. We all have a bit of both mindsets (growth and fixed) but we also tend to lean-to one side when we are put under pressure or want to work on our performance whether that be at work, school or on a sports pitch. 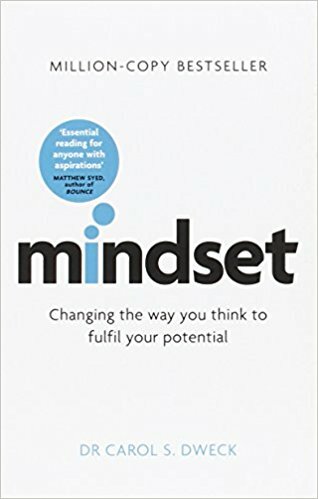 Dr Dweck has definitely opened my eyes to my mindset and I would recommend this book not only to teachers, students or people who are interested in psychology but also anyone that feels they may have a fixed mindset that needs to have a little bit of growth! 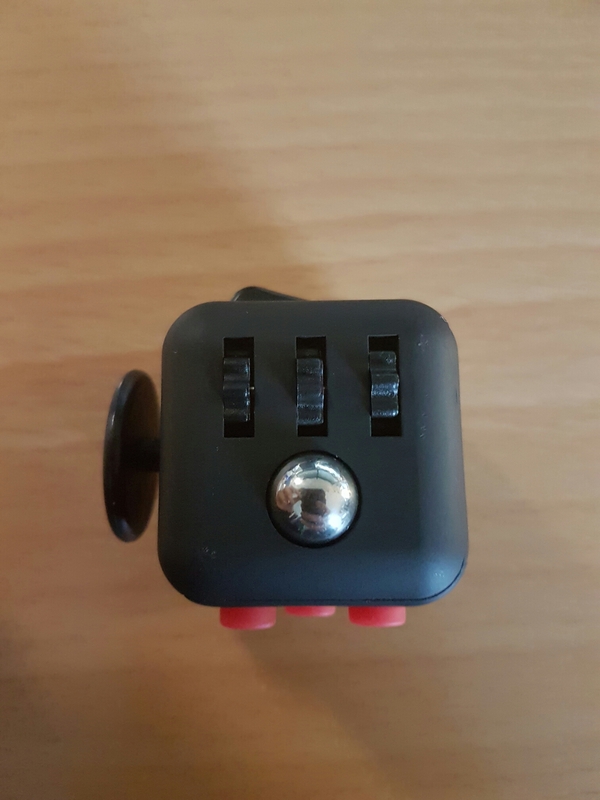 A couple of my work colleagues recently purchased a ‘Fidget Cube’ I’d never seen one before. They are used to relieve stress in adults and calm children with ADHD. 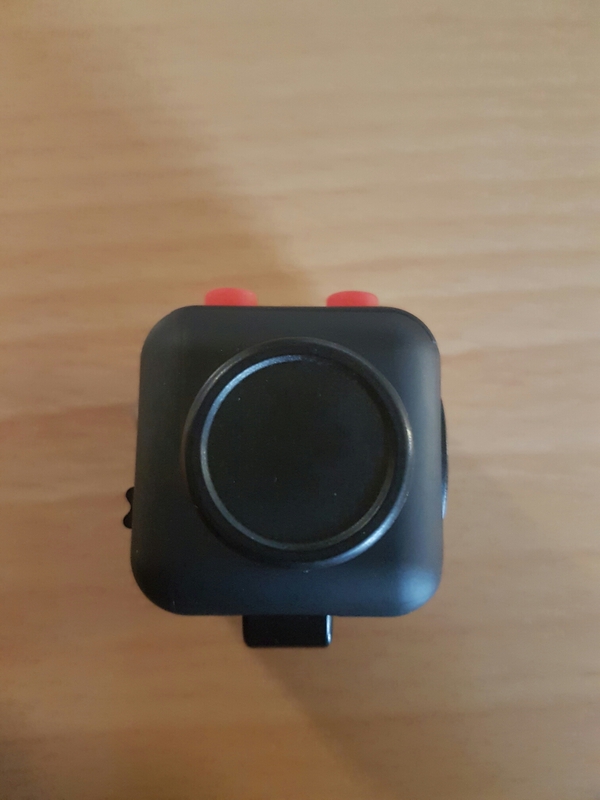 When I first saw a Fidget Cube I immediately wondered how/if it would work for people suffering from anxiety. So, who best to try it than myself! I purchased one from ebay, not wanting to spend too much as I couldn’t find much research for them to prove that it actually works (and I can also be a tight a*se tbh!). It finally arrived in a small, black, zipped up case. 1st side is a smooth dip – Inspired by traditional worry stones that when rubbed tend to reduce stress and anxiety. 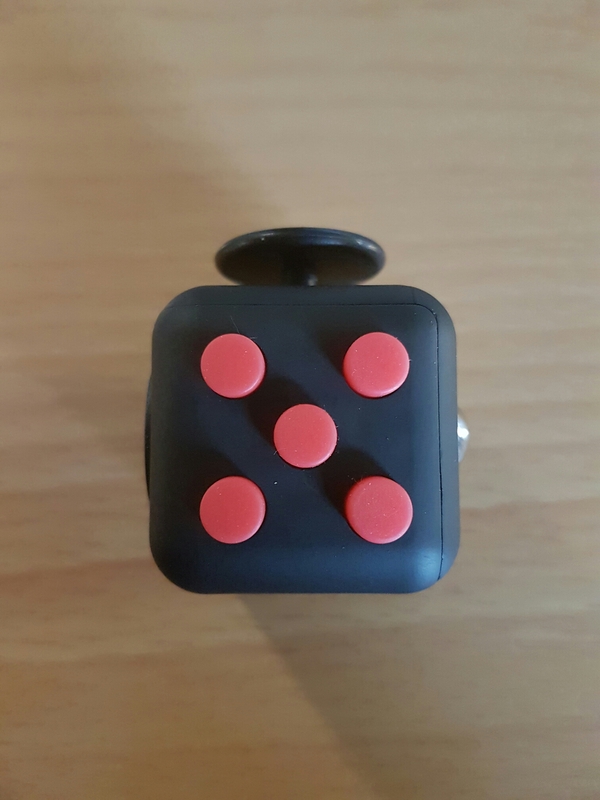 2nd looks like the face of a dice- It has 5 small buttons, 3 of which make a clicking sound and the other 2 are silent. 3rd is like a light switch- You can pivot the switch back and forth which also gives a small clicking sound. 4th is a joy stick- Perfect for gamers, it glides side to side, up and down, and all around. 5th has 2 different “fiddly bits”- 3 gear-like parts that roll and a small silver ball that rolls and also clicks in. 6th the spin- Similar to an old phone dial for a circular fidget. 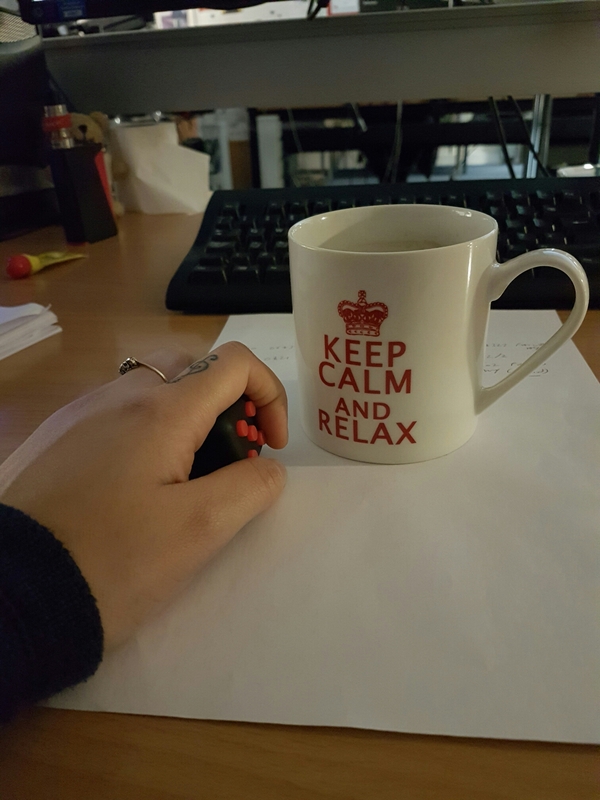 At work- I work in an office, sat at a desk all day so I do tend fidget a lot. Although my anxiety doesn’t peak too much at work anymore I do still use it when I’m walking around the building in case I bump into someone and have to actually socialise! 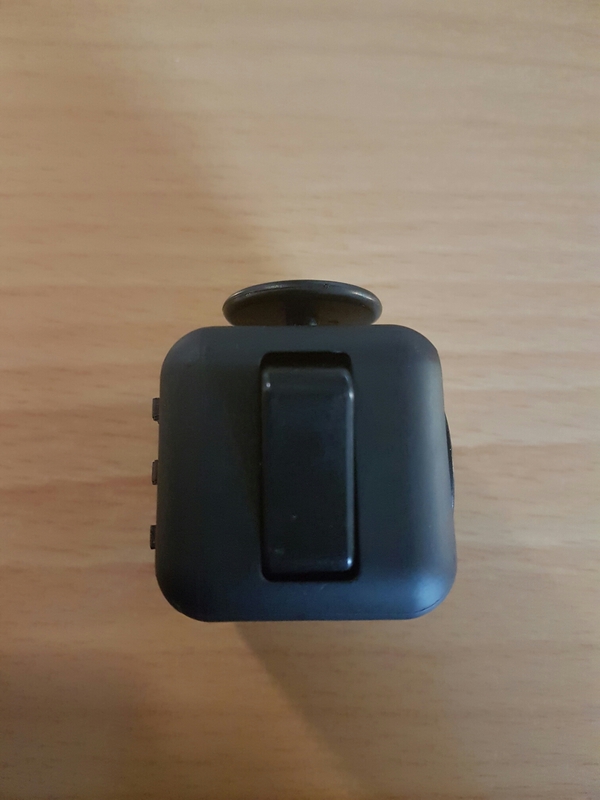 So I just keep my Fidget Cube in my pocket and no one even knows. Unless some of them read this now lol. Public transport– Luckily, I don’t have to use public transport very much anymore. I’ve always hated it though for many reasons. It’s dirty, rarely on time, can be very loud and it means being out in public where there’s usually lots of people. 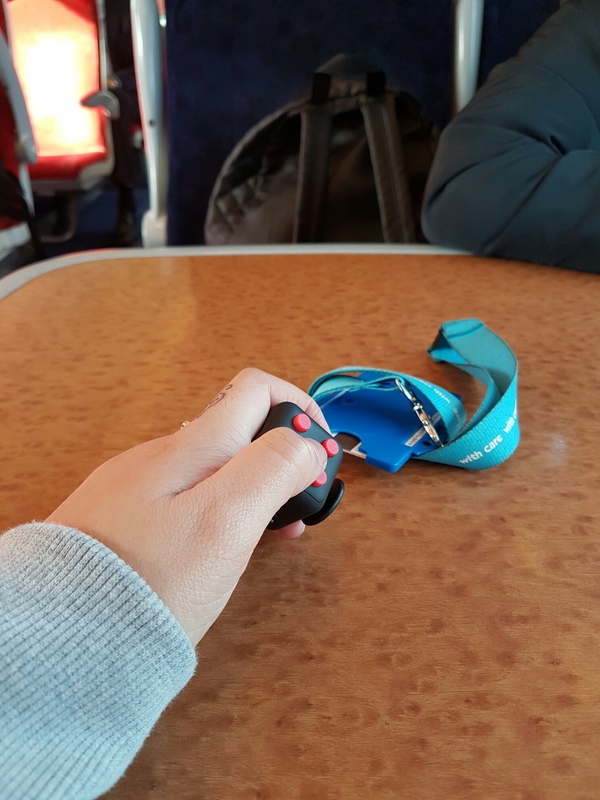 I’ve used the train twice since having my Fidget Cube and I must admit, I feel that it’s really helped. I just keep my cube in my pocket and fidget away. 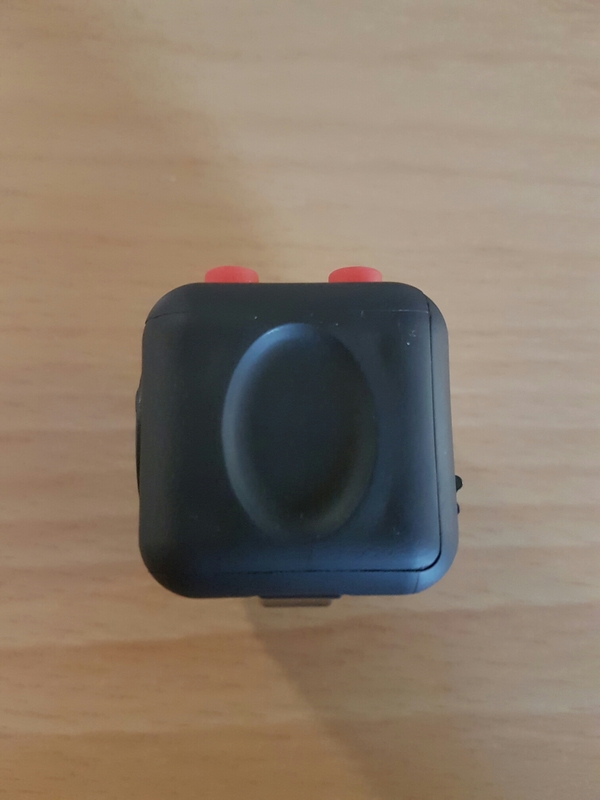 I sometimes just have the cube out on the table as it’s nothing to be ashamed of and if someone with high stress or anxiety levels clocks it and realises what it is, it may make them purchase and try it out. 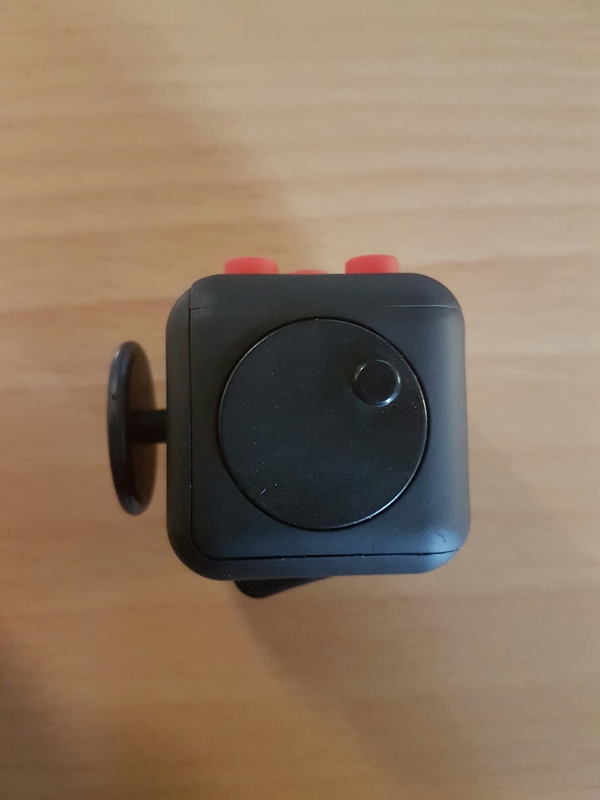 I hope this blog is useful for anyone suffering from stress, anxiety, ADHD or any other issues which may result in a Fidget Cube being the answer to all their fidgeting! It comes in many different colours and is also small enough to fit in your pocket or to be hidden in your hand if it’s something you don’t want others to know about. -Do you ever remember things that you have forgotten and are there ways you can get any of those memories back or do they come back randomly? During the “big blackout” that I had where I’ve lost 2 years of my memory I have remembered a few random things. Usually something jogs my memory like in 2015 our bungalow got flooded from a burst pipe, we had to live in rented accommodation while our house got sorted. I had forgotten all of this but I used to go past the house that we temporarily rented almost every day and one day something just jogged my memory! I remembered that we had lived there for 2 months! Sometimes I could just be laid in bed thinking and I have to ask ‘was that a dream or is it a lost memory from the past 2 years?’ lol. If you can imagine waking up from a deep dream but when you try to explain it to someone it all seems quite blurry- THAT is how bits of my memory come back. When I have these smaller episodes of blacking out – I tend to loose the last 2 or 3 days and most of that slowly comes back over about a week. -Do the Drs know if its heredity and has anything like this ever happened to any other family members? No, they cant see any signs to say that its heredity and nothing like this has happened to any family members, that I’m aware of. -Do you know you’re about to pass out or is it sudden? I can never remember what or how i feel seconds before i black out, but during the lead up to me passing out- I will get a severe headache, a lot worse than it usually is. This usually gives me and others around me an indication as to what’s about to happen. Ive been told that I also become very quiet and quite withdrawn from whatever is going on and round me. My partner has told me that my veins In my hands stand out and become raised which I am assuming is to do with my blood pressure rising from whatever is happening inside my body at the time. -Can you remember your initial thoughts when you first come round after passing out? What goes through your mind when it happens now? When all of this started it was very confusing and quite scary when I first came around. Id usually be surrounded by my mother and partner and sometimes an ambulance crew. I remember the first couple of times thinking ‘I wonder if I’ve lost another 2 years or if my memory has all come back’, neither of which was right. I used to worry and get a little scared, I didn’t know what was going on and how I ended up on the floor. Now it seems to be a regular occurrence – I wake up knowing what’s likely to have just happened and just think ‘Oh not again’, my partner asks how my head is, whether I’m in pain and what day I think it is. I still have some slight confusion when I come around and I feel quite vulnerable at first but I recover a lot quicker now. – What was it like when you first blacked out and came around feeling like you’d travelled to the future, how was it adjusting to every day things? Well I thought it was all a huge joke that everyone was in on! I was determined that it was still 2014, I’d get upset and angry because I thought that everyone else was wrong! 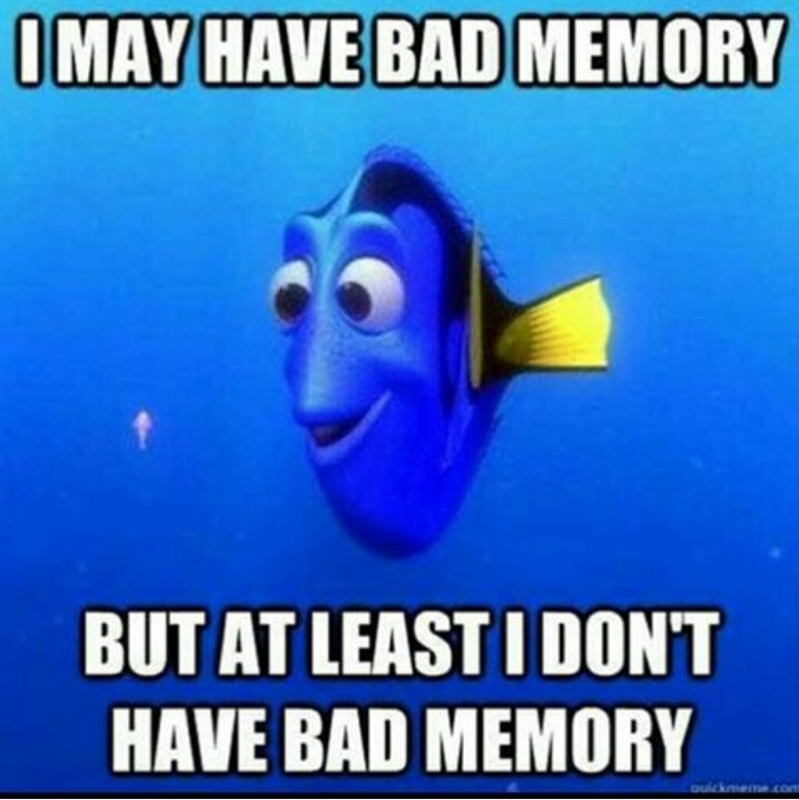 The Dr’s were constantly asking questions to find out how much of my memory had gone and I’d get would up and annoyed with them. I did get a little bit cheeky – Id memorise signs around me so that when the Dr’s or my family would ask ‘Do you know where you are now Daniella?’ I’d remember all the signs id seen. They caught me out most of the time though! When I was allowed to leave hospital and I walked into my house a lot had changed in the past 2 years. I became quite upset and agitated with all of the changes I could see around me. I had to ask where so many things were including my own belongings in my own home. But, on the plus side – I had a whole new wardrobe, a lot more money, and a much better partner! -What sort of tests have you had done so far? So, when I started getting these horrendous headaches I went to the opticians to see if it had anything to do with my eyesight as I do wear glasses. They noticed that my peripheral vision in my left eye was absent. I had numerous field tests at the opticians and it was handed over to my local eye hospital but apart from slightly bad vision in my left eye, there was nothing serious to be seen and nothing to link it to my headaches. Things with my head kept getting worse, I tried almost every painkiller that could be bought over the counter and they just weren’t touching the pain. I ended up going to my Dr Who organised tests for sinusitis and when that showed nothing and they referred me to a neurologist. Through them I have had a lot of MRI scans, neuoropthalmology tests, an EGG test where they wired up my head and checked for any abnormal activity, and when I was in hospital I had a lumbar puncture done to check for any infections. None of which explain whatever condition it is that I have. – Do you ever talk to your friends and family about the effects this has on them, it must cause a tremendous strain on your personal relationships? I don’t think I’ve asked them outright as I believe I know how it must effect them. Obviously my mum, sister and partner are extremely supportive and I understand the strain it must have and still puts on them. Luckily I knew them all before 2014 lol. My close friends are also very supportive and patient and have a slight understanding of what goes on and maybe after reading my blog, you too will have an insight as to what goes on. My work colleagues I think it was most strange for. They had a rough idea as to what had happened but I don’t think it really hit them until I first walked back into the office again. They obviously remembered me but had to treat me like a stranger in a way. They have also been very supportive and helped me while I re-trained for my job again which I’m extremely thankful for. -Does it effect your everyday life like going out? It doesn’t stop me from going out altogether, no. I don’t worry too much about passing out while I’m out in public and that hasn’t happened yet. But if I’ve already passed out I tend to be a bit vulnerable for a day as im still getting used to the fact that my memory has gone back a day or two. I tend not to go out by myself very often anyway so I’ve always got my partner, mother or a close friend with me for reassurance. When I first lost my memory I did worry that I’d see someone that I’d met between 2014 and 2015 that I couldn’t remember. Or, I’d worry that I might attempt to speak to someone that I’d stopped speaking to between 2014 and 2015 for whatever reason but I think I’ve caught up with everyone now! Thank you so much to everyone that participated in helping me to write my second blog – Into The Deep.